Summer is undeniably coming to and end (did we even have one?!) although I'm lucky because I still have my Summer holiday coming up! I'm a strong believer that bright nails aren't just for Summer though, and although it's nice to see the warmer shades coming in, there's still room for some brights! 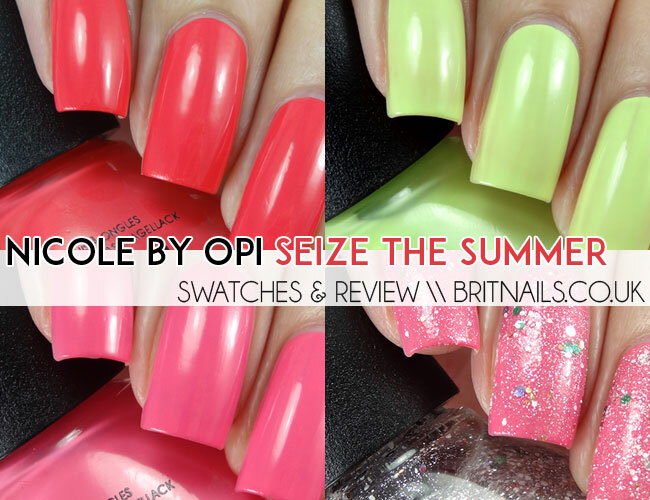 Seize The Summer is Nicole by OPI's Summer 2014 collection (I've said Summer about 17 times in this post, I know!) 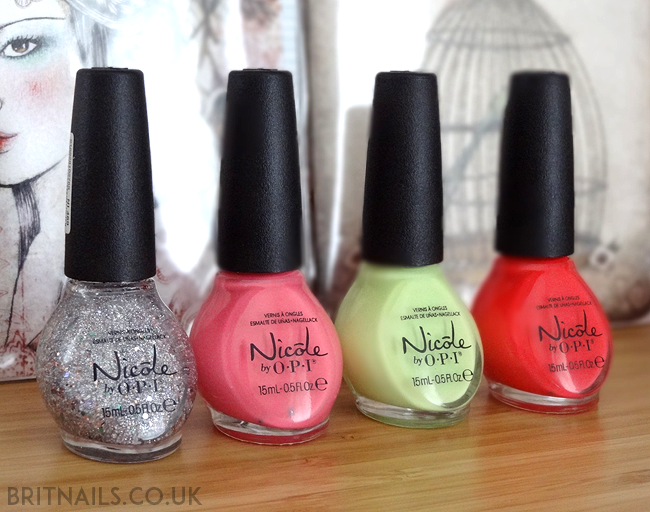 and you've probably seen them before, but we're a little behind in the UK with OPI releases. I'm generally a fan of Nicole polishes, in fact the only thing I don't like is the bottles...they're hard to hold for my usual hand pose and take up lots of Helmer space! I can forgive that though because the formula rarely disappoints. Lay it on the Lime is a lemon and lime creme, similar to the bleached neon style from Maybelline. Love love love this colour! The formula is a bit on the thin side but easily buildable. I used 3 coats, no top coat. 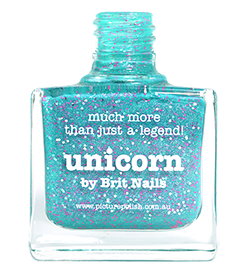 Lastly, Shaved Nice is a frosty glitter with tons of silver microglitter and larger pieces of pink, purple, gold and green. I didn't expect to love this as much as I did, the green and purple glitter seemed so out of place; but when I applied it I really liked it! It's just so pretty and has amazing coverage. This is one coat over LeaPink for Joy. If you're reluctant to let go of Summer or you just love a good bright (as I do!) these are gorgeous colours. Shaved Nice is definitely worth a buy if you're a glitter fan! Hmm, I can't seem to find it online either! Have you tried in-store? You might have more luck that way. I'll keep an eye out for it in shops!